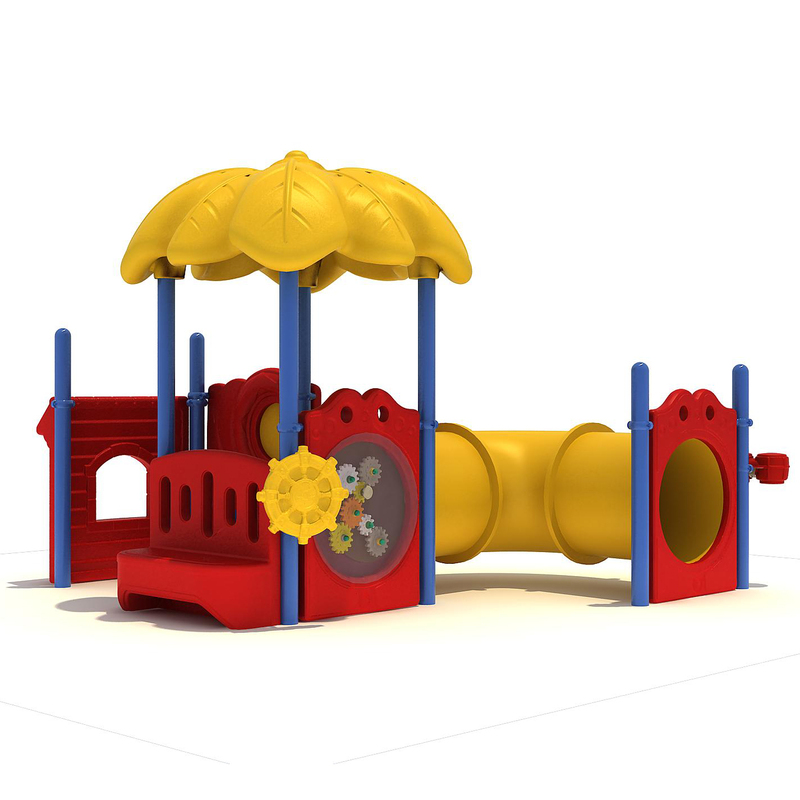 The bold look of the compact designed Asheville play system is sure to draw children in to play. What really stands out when you first see the structure is the large palm leaf roof. 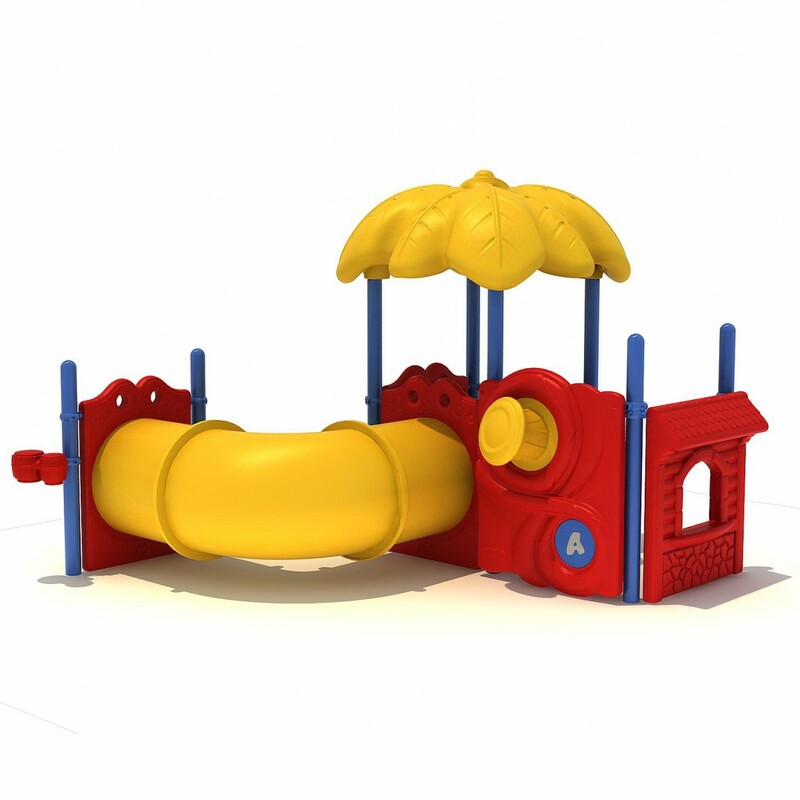 This roof not only shades children during play, but it also give the unit a fun, beach feel. 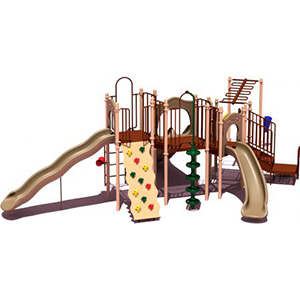 The bold look of the compact designed Asheville play system is sure to draw children in to play. What really stands out when you first see the structure is the large palm leaf roof. 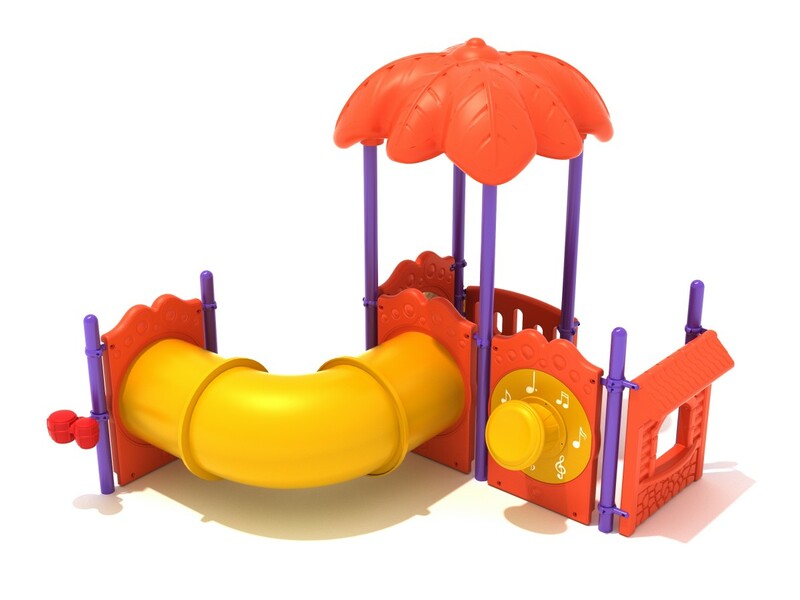 This roof not only shades children during play, but it also give the unit a fun, beach feel. 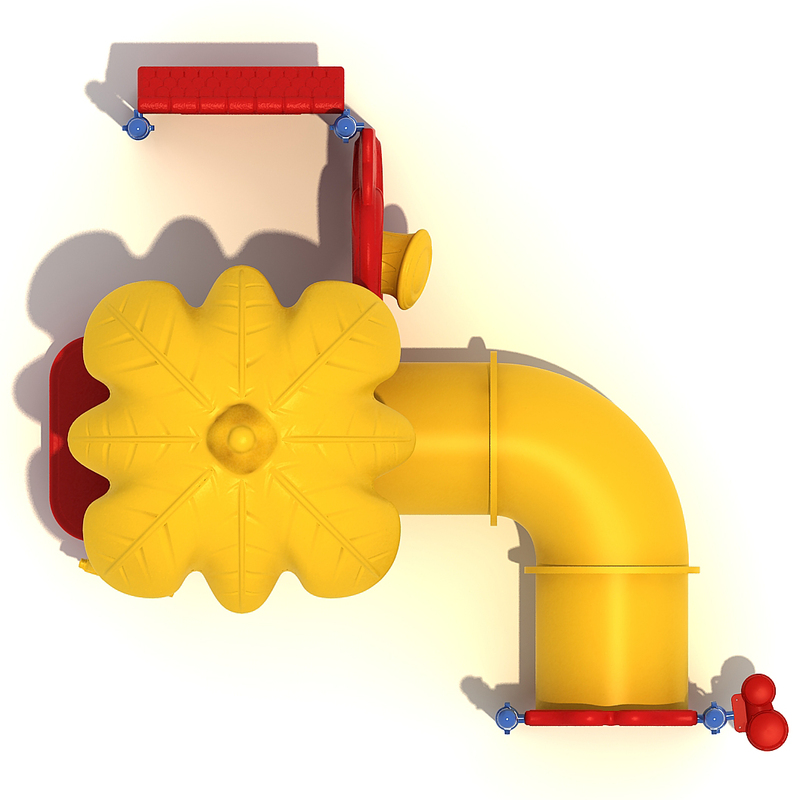 Kids will love crawling through the 90 degree crawl tube to end up under the roof. 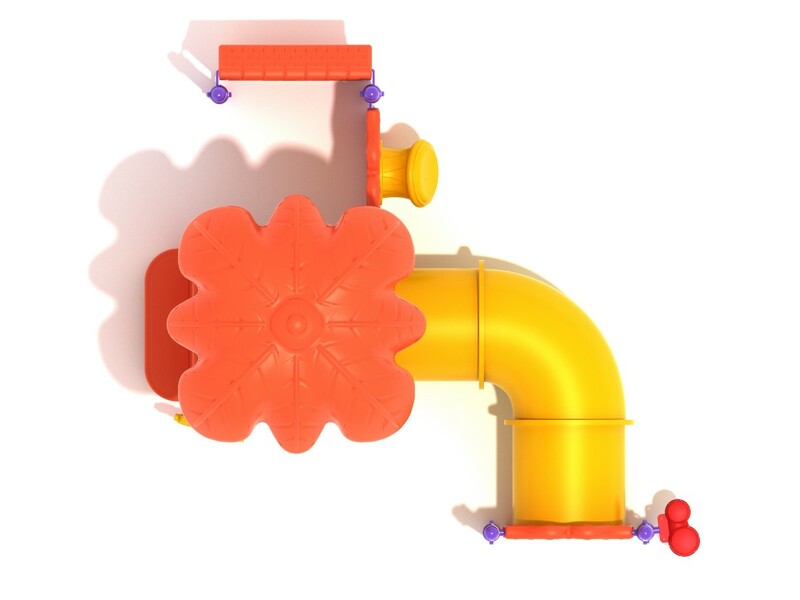 To encourage children to use their imaginations, a ship’s wheel and a storefront panel are included. 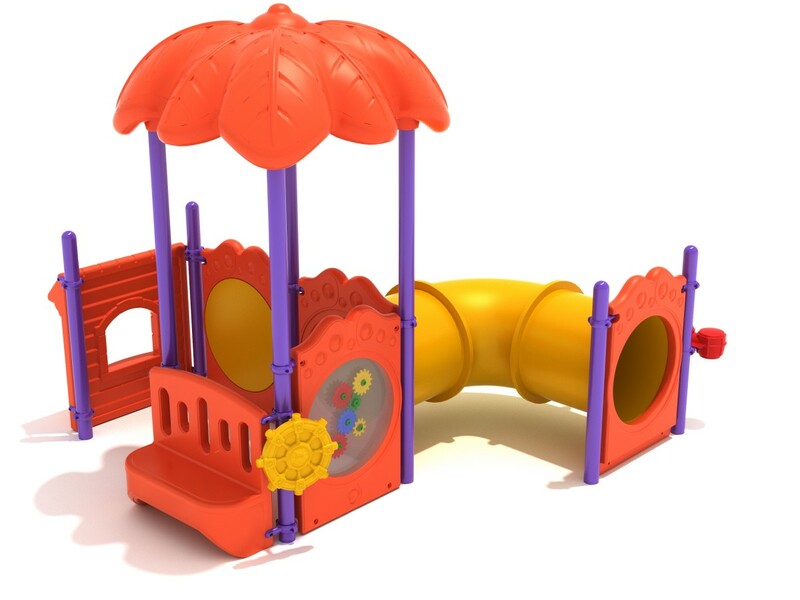 A drum panel brings music to play time and a bench panel provides a place to sit and relax. 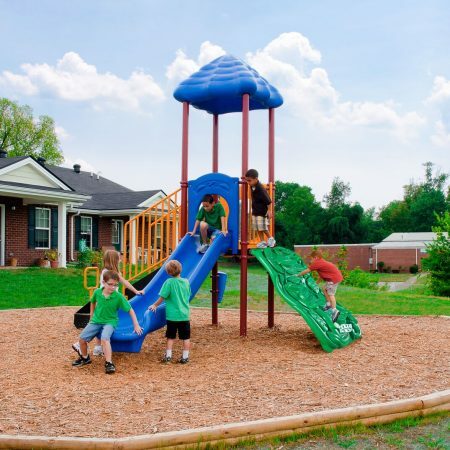 The Asheville play structure is designed for children ages 2 to 12 years old and is ADA accessible. 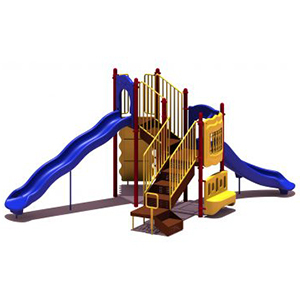 When purchasing a structure it is important to not forget about choosing the right safety surfacing for the unit. 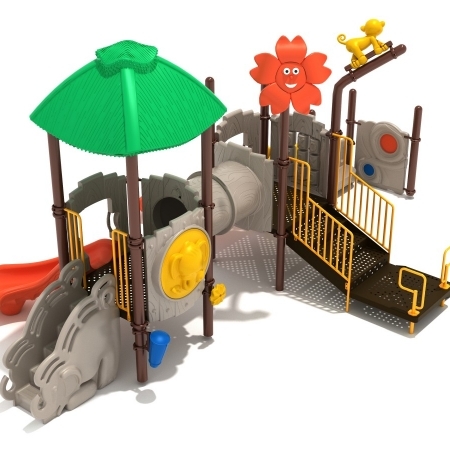 Loose-fill options and poured rubber surfacing are great choices to help prevent injury during play time.